When you think Gondola, you think Europe… you think Venice. Maybe you imagine yourself on a smooth and graceful glide down the Grand Canal. But now you can start thinking a little closer to home. Like the Durban Point Waterfront. Thanks to the team at Zulumoon Gondolas, Africa has now got its own little piece of Venice – so locals can get whisked away and savour the tranquility of a gondola ride in and amongst the newly built waterfront canals. You get to discover the little nooks of Durban you’ve never seen before, all while sitting back and letting the gondolier do all the work. Of course, you’d be forgiven for thinking that gondolas rides are all romance schmomance. But Zulumoon offer a range of rides, from daytime cruises you can experience with family and buddies, to night time gondola rides for yes… couples. Surround yourself with the calming sounds of the gently lapping water, take in the breathtaking night lights, and maybe even spoil your date with a romantic gondola picnic. (+10,000 instant brownie points). So give it a try. 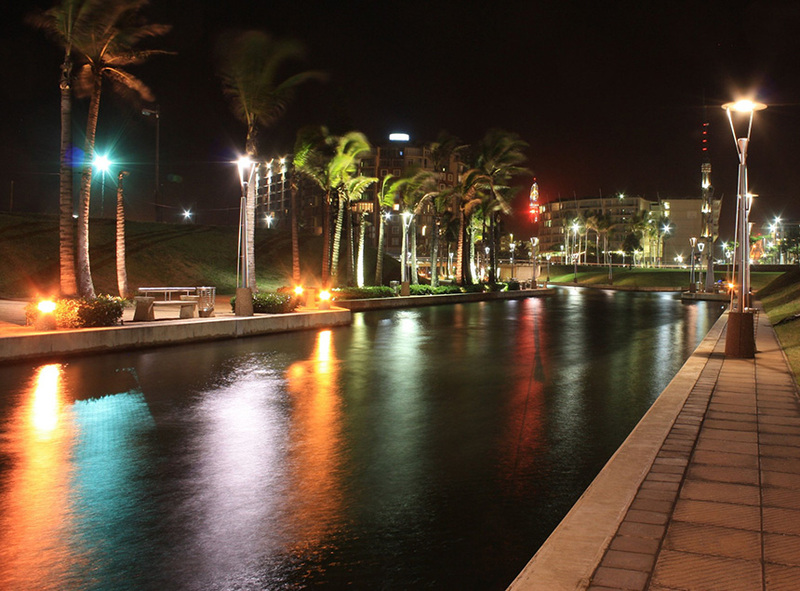 Whatever you’re up for, you can see what Zulumoon Gondolas offer here. Gondola rides start at R40 per person (which is a whole lot more affordable than a ticket to Italy).